While the pebble beaches of Yubu Island may not be ideal for traditional sunbathing, this hidden paradise offers travelers a uniquely authentic island experience that is not to be missed. Visitors can explore the land aboard old-school ox carts and navigate the shallow waters, crystal clear fjords and lush foliage with the help of a local guide and his powerful water buffalo. In addition to Yubu’s untouched shores, visitors can explore picturesque walking trails and well-manicured botanical gardens, all while experiencing the old-world wonder that lies just beyond scenic Okinawa. The island is accessible by car and is about 40 minutes from Kanpira-so. Although vehicles are not allowed on the island it’s possible to walk across the shallow fjord between Yubu and Irimote. Check off three of the far-flung Yaeyama islands during a day-long trip from Ishigaki. Visiting the remote outpost of Iriomote plus Yubu and Kohama islands, the experience includes different activities on each isle. Cruise through Iriomote’s mangroves; ride on a water buffalo cart through Yubu, with local ‘sanshin’ music ringing in your ears; and enjoy lunch and a quick island tour of Kohama. Want to see even more? Upgrade to visit nearby Taketomi, where Ryūkyū houses and coral beaches beckon. Discover a different side of Japan on a full-day tour to three Okinawa Islands: Iriomote, Yubu and Taketomi islands. Part of the Ryukyu Islands chain, the Okinawan islands inspire comparisons to Hawaii or Southeast Asia due to their subtropical climate, natural beauty and distinct culture. Your tour includes a cruise through the mangroves of the Nakama River, a ride in a buffalo cart, tours of a well-preserved Ryukyu village and botanical garden, listening to traditional Okinawan songs and a stop at the famous Star Sand beach on Taketomi. Discover the delights of subtropical Japan on a day trip to Iriomote and Yubu islands. After leaving Ishigaki by ferry, dock on Iriomote, the jungle-covered island with dense mangrove forests, ringed by sandy bays. 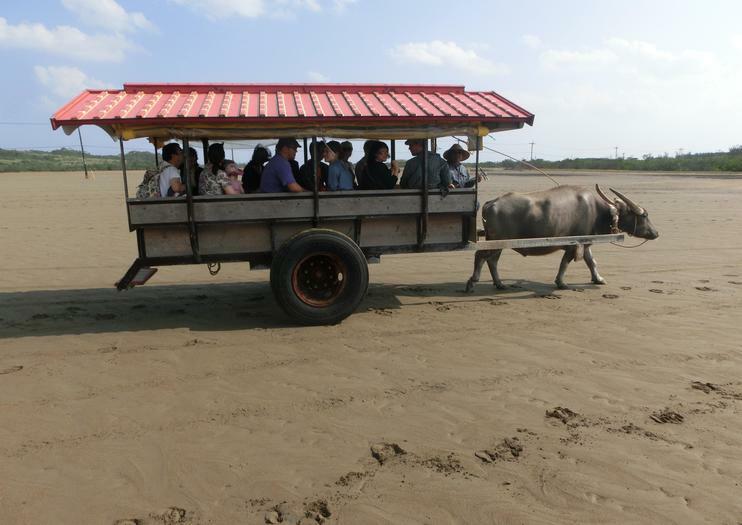 See it all on a cruise along Nakama River, and then cross the shallow waters to neighboring Yubu by water buffalo cart. Here, you’ll visit a botanical garden to learn about the island’s plant life. Lunch and ferry transport are both included.